We live in the era of lazy generosity. You click a “donate” button on someone’s crowdfunding campaign and whoosh, you’ve done it. Generosity quota filled. 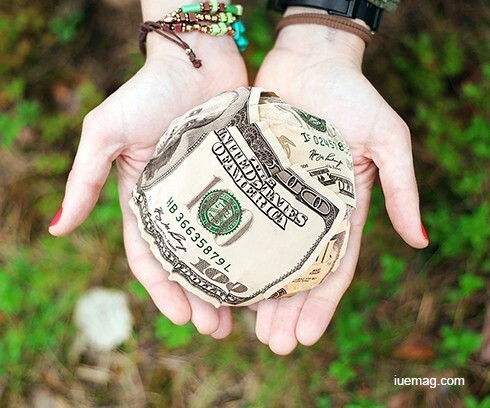 The face of charitable giving is changing. Charity used to be about afternoons in the soup kitchen, volunteering your time and muscle, but now it seems that all anyone wants is money. Don’t get me wrong, I give online all the time. I’ll donate $10 to help the proprioters of a fire-ravaged restaurant and immediately feel the satisfaction of helping someone in need. And it does help them, but I can’t shake this feeling that there’s something lost in that transaction. Isn’t half the point of giving to remind the recipients that we’re all in this together, to have a simple human interaction that provides some assurance that they’re not alone and that things will get better? It’s non-dogmatic. It’s community. It’s mattering to one another. Or it’s clicking a button and receiving a thank you email. There must be middle-ground. There must be a way to maintain our busy lives and still give back in a meaningful way. The key, it seems, is integration. Don’t try to make time outside of daily life to devote to charity, involve it in your routine. If you’re a parent, especially a new parent, it can feel like there’s no time for anything that doesn’t involve pb&j or footie pajamas. It’s not true. Especially as they get older. Donate food to a food pantry. Have your child pick out one item each time you go to the store. When you get a bagful, take it to a local food pantry. Deliver meals. You and your child can bring both hot food and companionship to homebound people through a local charity food service. Offer a lift. Take your kids along to drive elderly people or patients with AIDS or cancer to their medical appointments, or take nursing-home residents or isolated seniors to the grocery store or to visit friends. Be kind to animals. Volunteer to care for abandoned dogs or cats. For working men and women, the idea of giving up those precious non-work hours is not exactly invigorating. It doesn’t have to be that way. Charitable giving can easily be integrated into one’s career. Company-wide volunteerism improves overall employee morale - that tends to happen when coworkers are friendly and not mindlessly focused on inter-office competition - and honestly, volunteering reflects well upon the individual. Normally your bosses wouldn’t know if you volunteer or not, but showing that you put in the extra effort can only benefit your career. Companies all around the globe have corporate volunteer days where employees and their families give back. If yours does not, try coordinating one. Here’s your angle: not only is volunteerism good for the world, but it’s also a good opportunity to promote the company and its culture. I can’t imagine a better way for, say, a construction company to promote itself in the field than by building 10 houses in two weeks for Habitat for Humanity. Similar possibilities abound for almost every industry: restaurant staff can volunteer to serve meals to the homeless, teachers can read to kids in the hospital. It’s easier to venture out into the world and give when you have a group of other caring people at your side. Fun technology has its place in the world of charitable giving. It’s great when you’re stuck at the DMV, for example. The internet is full of creative ways you can donate to charity right from your phone. One tried-and-true website, Free Rice, is set up like a vocabulary quiz and donates 10 grains of rice to the UN World Food Program for every correct answer. That’s a lot of grains by the time the DMV clerk finally calls your number. The important factor to remember here is that most apps and online programs really don’t add up to all that much. Two hundred grains of rice aren’t going to change someone’s life. Sponsoring their kids to go to school or helping them afford an expensive surgery would change their lives. In short, don’t mistake a fun technology for substantial giving. Many people do. It’s one of the challenges of our generation. Just because you get the same feeling of “helping out” from clicking a button, doesn’t mean that it’s benefiting people in the same way. It only goes so far. The best way to actively improve our communities is by stepping out and being a part of them. In this modern era, we can start by turning off our computers. We can integrate generosity into our daily lives. How do you express generosity in your life? Any facts, figures or references stated here are made by the author & don't reflect the endorsement of iU at all times unless otherwise drafted by official staff at iU. This article was first published here on 15th September 2016. Katie Kapro is a contributing writer at Inspiration Unlimited eMagazine.